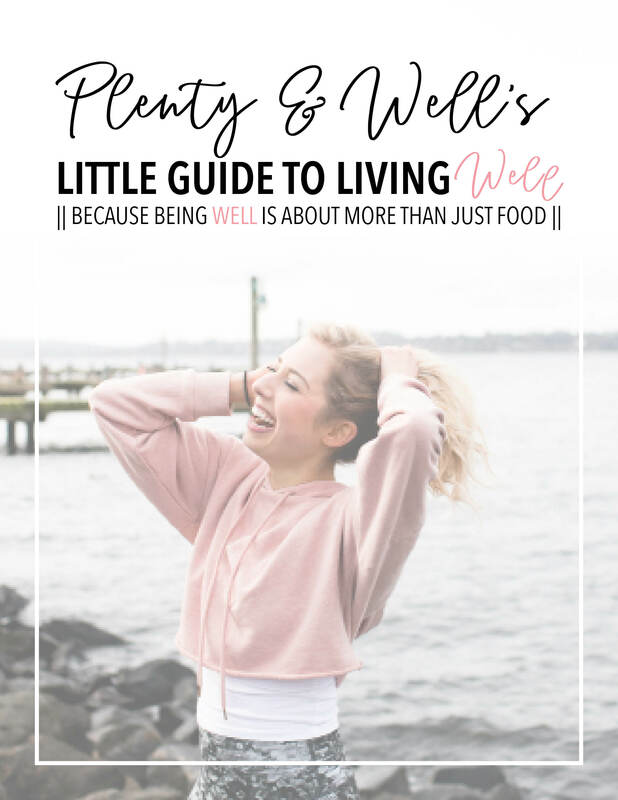 Have you ever felt lost when it comes to living well? Confused on what advice to listen to, what diet to adopt and what fitness routine to begin? Wondering why you’re doing everything right, yet it still feels all wrong? Trust me sister, I’ve been there done that like it’s my dang job. I’ve been lost, confused and full of wonder (and not the good kind like the Dixie Chicks sing about in their remake of “Landslide”). I’ve gone from being extremely unwell mind, body and soul, to becoming the most well I have ever been (all while still dealing daily with an autoimmune disease). From over-exercising, restricting my food intake, blindly following food trends and taking no action to loving myself further to moving and eating intuitively, focusing on my strength and living a life rooted in genuine, unconditional self-love. Your best life, your WELL life, is waiting for you. And it’s even better than you could ever imagine, I just know it. You know why I know that? Because if you’re here right now, that probably means you’re a little lost and confused and sometimes when you’re lost and confused you don’t even know how good life is meant to be. And guess what? I want to help YOU figure it all out. I’ll be your sounding board, your coach, your voice of reason. I’ll help you uncover what YOUR individual well life looks like. Because no two clients are the same. So what’s my health coaching philosophy? I focus on holistic coaching, meaning we focus on many parts of your life to truly make sure we’re creating a truly well life. Living well is about so much more than just the food you’re eating and the exercise you’re doing. It’s also about the things you’re telling yourself, the self-love that’s present or missing from your life and so much more. YOU are more than the food you eat and your exercise routine, so I’m going to treat you in accordance. Whether we’re focusing on gut health, intuitive eating and improving your relationship with food or self-love, personal growth and confidence, I’ll be here for you every step of the way. We will work TOGETHER to help you set achievable goals and create an actionable plan to crush every single one. Are you ready to live TRULY well? I thought so. Let’s do this girlfriend! This program is best for those of you who have some sense of what living well looks like for you, already has a handful of healthy habits in place, has some things totally locked in, BUT needs a bit more of a nudge to help you completely reach your best, most well life. This program is best for those of you who still have some sense of living well but haven’t quite implemented any of that knowledge into your life or have tried and lacked success. This program will give you the kick in the booty you need to start living in wellness-oriented action. 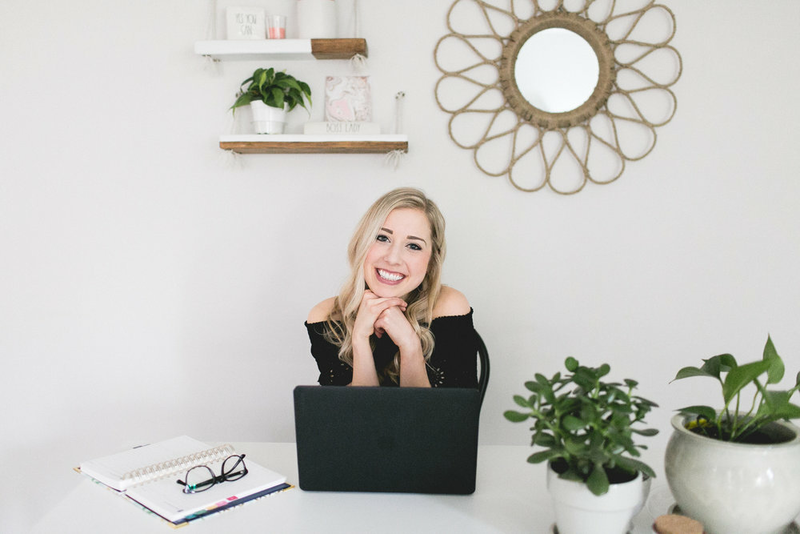 Weekly 50-minute meetings with me via video chat through your client portal where we discuss goals, progress and tactics to help you transform your life. This program is for those of you who feel pretty darn lost. And there’s no shame in that sister! This program allows us to make HUGE strides in your life and that’s truly amazing. I'm so excited that YOU are excited about my coaching programs! I’m happy to announce that I am taking more clients starting in March. Do you want to snag one of the limited spots? Please fill out THIS Google Form application to help me get to know you a little further. Once your form is submitted I will email you the link to my schedule so you can schedule your free 25-minute initial consultation. Make sure to sign-up for my newsletter to make sure you stay in the loop about when client spots close and other important information!